Betty Claire Winn Greer died peacefully at a local hospital on Saturday, January 20, 2018, surrounded by her family. She was 79. Born July 19, 1938, and raised in Memphis, Betty was the daughter of the late John Patterson Winn and Ruth Jenkins Winn. She is a graduate of Miss Hutchison’s School in Memphis. A pupil of piano since age five, Betty received her high school certificate in piano from Memphis College of Music, and was twice recipient in the Memphis and Mid-South Piano Scholarship Auditions. Betty received her bachelor of music degree from Southwestern at Memphis (later Rhodes College) where she was a member of Kappa Delta Sorority. Betty was selected as a Lady-in-Waiting for the Memphis Cotton Carnival. In 1960, Betty married William Click Greer, a medical student at the University of Tennessee College of Medicine. In Memphis, Betty taught school for two years before moving to Topeka, KS, where Dr. Greer completed his psychiatric residency and fellowship. They lived in Ft. McClellan, AL, Hopkinsville, KY, and Clarksville, TN before settling in Chattanooga in 1972, when Dr. Greer became superintendent at Moccasin Bend Mental Health Institute. While in Chattanooga, Betty was active in various organizations, including the Chattanooga-Hamilton County Medical Auxiliary, P.E.O. International and the Missionary Ridge Garden Club. In the 1980s, she returned to graduate school and obtained her master’s of music from the University of Tennessee at Chattanooga, and was a member of MENSA. Betty was a member of First Centenary United Methodist Church, where she was active in the handbell choir for many years and also served on the church board of directors. 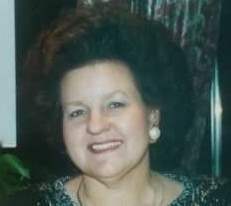 In the late 90s, Betty volunteered at Memorial Hospital, and later accepted a part-time job as a patient advocate in the Emergency Department, which was work she enjoyed very much. In addition to her parents, Betty was preceded in death by her husband of 46 years, and an infant son, David William Greer. She is survived by her three children: Alison Elaine Greer, of Memphis; Adrienne Greer Foley and husband, Jim, of Eagan, MN; and Andrew William Greer, of Chattanooga. She is survived by her four grandchildren: Alexander William, Katelyn Ashleigh, and Jackson Lynn Greer, of Chattanooga; and Matthew William Foley, of Eagan, MN. She is also survived by her sister, Diane Winn Jones, and husband, Randy, of Memphis; brothers-in-law Dr. Joseph Glenn Greer and wife, Betty Lynn, of Oak Ridge, TN and Dr. Richard Cox Greer, and wife, Jean, of Greenville, SC; as well as many nieces and nephews; and lifelong friend Barbara Davis. Funeral service will be held at First Centenary United Methodist Church, Chattanooga, at 11am on Wednesday, January 24, 2018 with visitation at the church starting at 10 a.m. with Dr. Linda I. McDaniel and Dr. Doug Fairbanks officiating. The family will receive friends on Tuesday, January 23, 2018, from 6-8pm at Chattanooga Funeral Home, East Chapel. If you would like to share your thoughts and memories with the family, please send them to www.chattanoogafuneralhomeeast.com. The family wishes to thank dear family and friends for their love and support. Additional blessings of support and gratitude to the staff of Alexian Care at Home, the ICU staff at Park Ridge Medical Center and Hospice of Chattanooga. Memorial contributions can be made to First Centenary United Methodist Church or a charity of your choice. Arrangements are by Chattanooga Funeral Home, Crematory and Florist, East Chapel, 404 S. Moore Rd., East Ridge, TN. 37412.